In the age of digital communications, it can be difficult to imagine a time when imagery and meaning of stamps was politically volatile. While, millions of Americans collected stamps from the 1880s to the1940s, Stamping American Memory offers the first scholarly examination of stamp collecting culture or how stamps enabled citizens to engage their federal government in conversations about national life in early-twentieth-century America. By examining the civic conversations that emerged around stamp subjects and imagery, this work brings to light the role that these under-examined historical artifacts have played in carrying political messages. The work explores how the US postal service shaped Americans’ concepts of national belonging, citizenship, and race through its commemorative stamp program. Designed to be saved as souvenirs, commemoratives circulated widely and stood as miniature memorials to carefully-selected snapshots from the American past that also served the political needs of small interest groups. 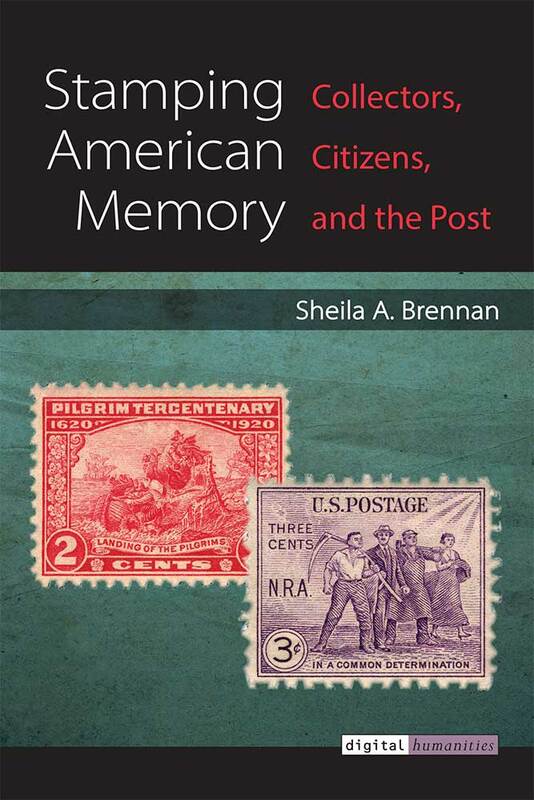 Stamping American Memory brings together the histories of the US postal service and the federal government, collecting and philately through the lenses of material culture and memory to make a significant contribution to our understanding of this period in American history. Stamping American Memory is both a print and a digital publication project written, open peer reviewed, and revised in public. The original draft from 2014 went through both open and blind peer review in 2015: http://stampingamericanmemory.org/2014version. Following reader reports and comments, I revised the manuscript in 2016, and that version resides here: http://stampingamericanmemory.org/revisions.